This LED PL tube replaces conventional TC-F fluorescent PL tubes with durable and energy-saving LED technology. 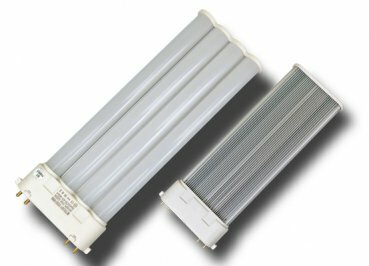 Particularly low maintenance justify replacement of the conventional technique, but also the fact that the light of this LED tube is flicker-free and free from UV and IR light. The LEDs of the type 3014 are soldered on an aluminum core PCB and protected by a matted PC shell. The PC housing backside slit for better heat dissipation. 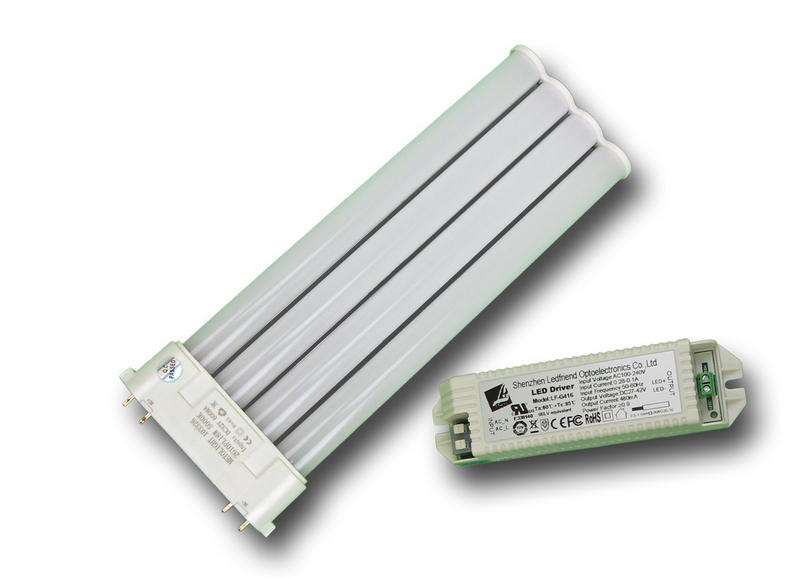 The use of LED PL tube is allowed only in dry indoor rooms or protected luminaires. The overall length is 230 mm incl. socket. Compact tubes with 2G10 socket are usually used in wall and ceiling lights in office buildings, administrative buildings, in hallways etc. Through frequent switching the existing fluorescent tubes quickly fail - the LED lighting technology ensures a long, maintenance-free operation. Please note that existing ballasts must be removed. The LED PL tubes are supplied with a special constant current power supply 27-42-VDC - 480 mA. This must be installed in place of existing KVG / ECG by a qualified electrician. With the conversion, however, existing certificates are obsolete and the electrician must reconfirm again. So we recommend to replacement after the warranty period expires. In Leuchten mit entsprechender Fassung anstelle bisheriger Kompaktröhren. Lampenwechsel nur bei stromfrei geschalteten Leuchten vornehmen, vorhandene Vorschaltgeräte müssen von Elektrofachkraft entfernt und durch das mitgelieferte Netzteil ersetzt werden. In luminaires with suitable sockets to replace common CFL tubes. Change bulbs only when power is off, Existing ballast must be removed by expert and replaced with supplied constant currect driver.